In 2011, many Syrians took to the streets of Damascus to demand the overthrow of the government of Bashar al-Assad. Seven years later, Syria is a warzone, and there seems to be no end in sight. 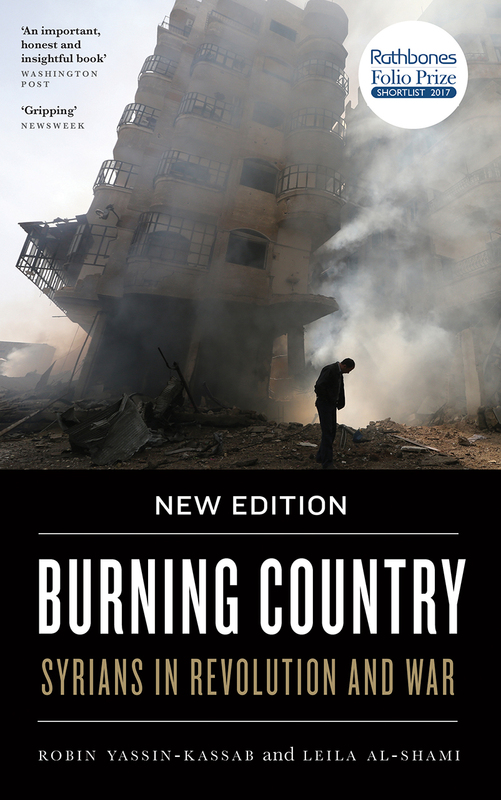 Burning Country explores the complicated reality of life in present-day Syria with unprecedented detail and sophistication, drawing on new firsthand testimonies from opposition fighters, exiles lost in an archipelago of refugee camps, and courageous human rights activists. Robin Yassin-Kassab and Leila Al-Shami expertly interweave these stories with an incisive analysis of the militarization of the uprising, the rise of the Islamists and sectarian warfare, and the role of Syria’s government in exacerbating the brutalization of the conflict. Through these accounts and a broad range of secondary source material, the authors persuasively argue that the international community has failed in its stated commitments to support the Syrian opposition movements. This new edition brings the story up to the present, with a new chapter that covers the internationalization of the conflict, including interventions by the United States, Russia, and Iran; the rollback of ISIS; the fall of Daraya and Aleppo; the crushing of local democracy; sectarian cleansing; and the forced exile of millions of Syrians.